Saturday to Saturday. Arrival time from 3pm we do aim for earlier as we clean ourselves &I will message you when it is ready . 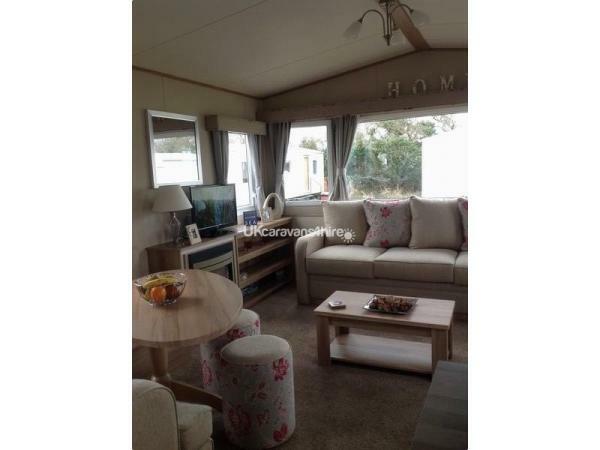 Our caravan is like home from home ...... lovely comments from previous bookings. 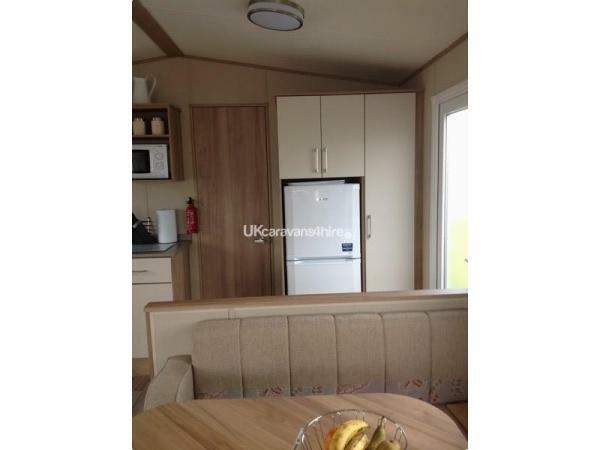 The caravan is double glazed and centrally heated throughout and offers an open plan living area comprising kitchen & lounge. 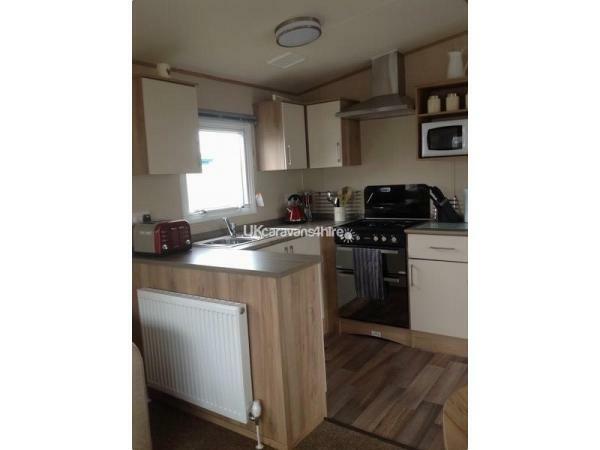 The kitchen is well equipped with new appliances which include a gas cooker, hob, fridge freezer, microwave, kettle, toaster, ironing board, iron, hoover and lots more usual essentials. The lounge has a lovely big seating area with a flat screen TV with built in DVD player and a good selection of DVDs for all ages. 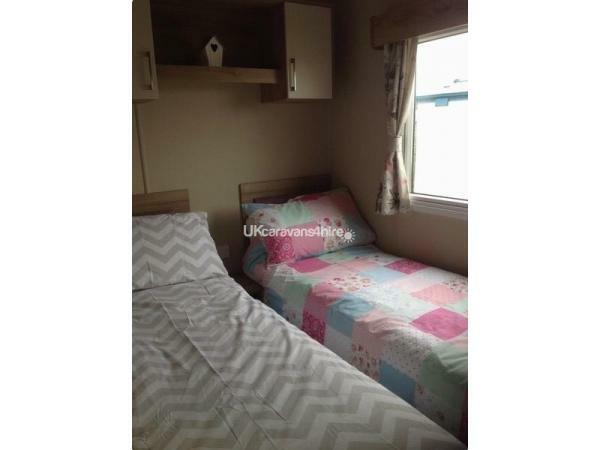 The sleeping accommodation includes a spacious master bedroom with en-suit wc with was basin, 2 big fitted wardrobes and a dressing table. 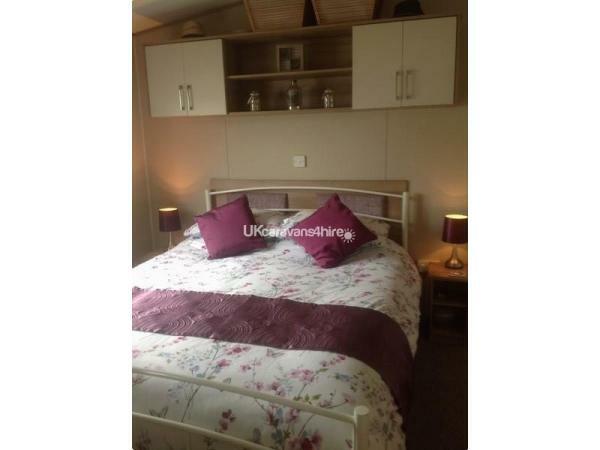 Bedroom 2 has twin beds and a fitted wardrobe. 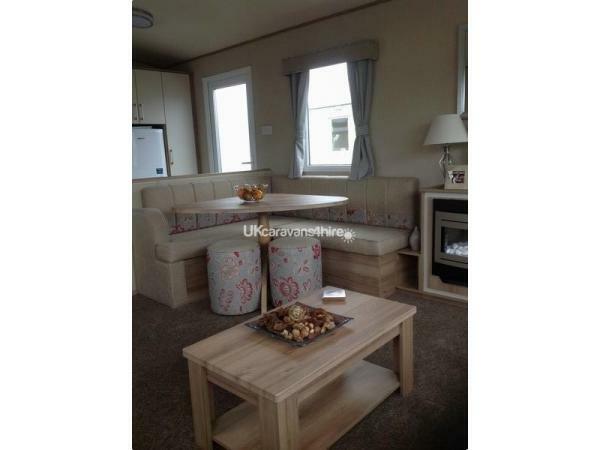 There is also a double bed settee available in the lounge. Bed linen is provided and beds made up on your arrival, please remember to bring towels, tea towels as these are not provided. The main bathroom has a shower, toilet and wash basin. Outside we have a new wooden patio table and chairs with a parasol for those lovely summer days. We have wind breaks, children's body boards, buckets and spade, cool box all for your convenience. Rotary washing line and pegs for your convenience and clothes airer in doors. Sorry no all young male/female parties. 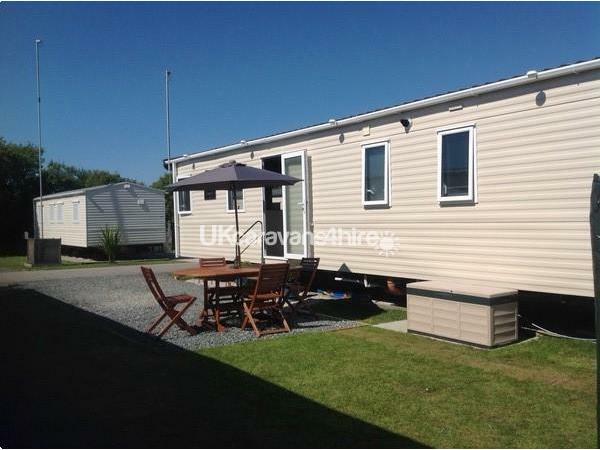 This is parkdean policy as this is family resort. Sorry no pets, and strictly no smoking or vaping. 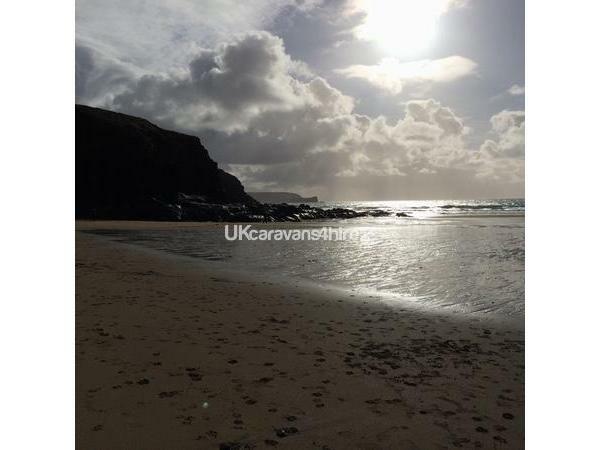 Arrival time 3 pm , we do aim for earlier and usually will message to say the caravan is available ,as we clean it our selves - check out 10 am . Bookings are subject to a £100 non-refundable deposit at the time of booking. 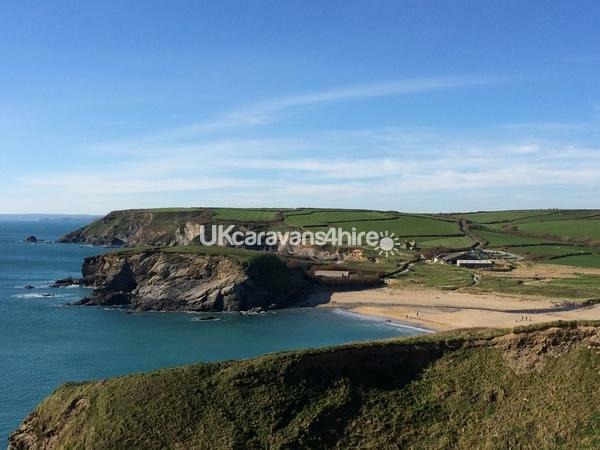 Full payment is due 6 weeks prior your holiday. A refundable damage deposit of £100 is also required when paying for your holiday. This will be returned within 7 days after your holiday- subject to no breakage, loss or damage found. Payment accepted by direct bank transfer (BACS) or personal cheque. 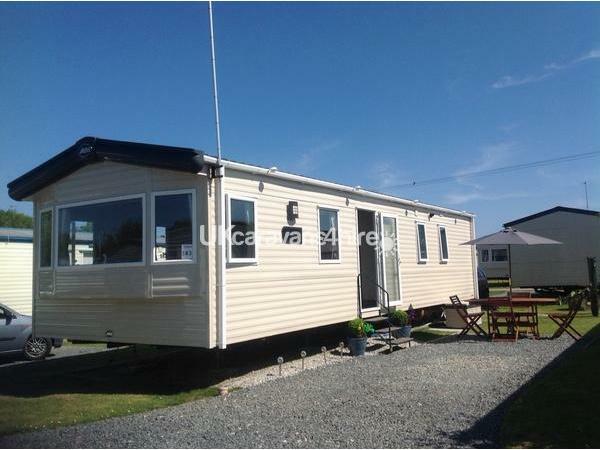 Absolutely smashing caravan! 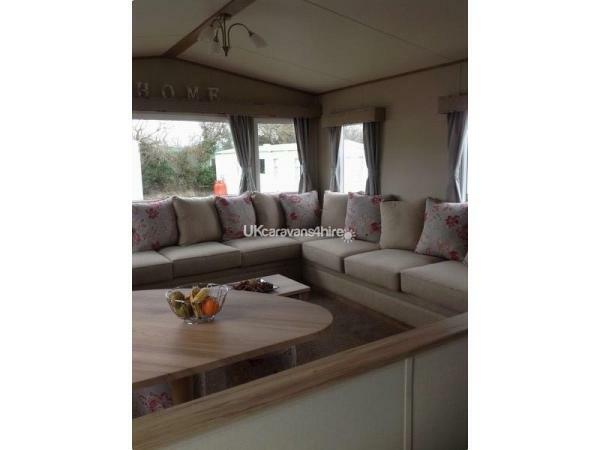 Spotlessly clean and so comfortable Lovely personal touches made it feel like a home from home. The best that we have ever stayed in. The welcoming gift was so unexpected but so much appreciated. Would definitely recommend staying here. I'm glad you enjoyed your stay , thank you . Absolutely perfect in every way! 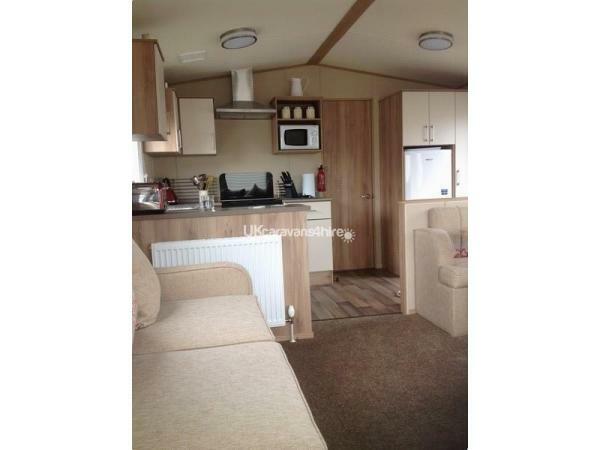 Caravan is immaculate and the attention to detail was homely and very welcoming. Lovely personal touches on arrival. Mandy was very easy to deal with and answered all my questions. Would definitely recommend to family and friends. Thank you very much Natasha . And for leaving in such immaculate condition.